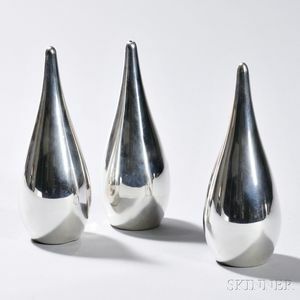 Three Allan Adler Sterling Silver Shakers, California, mid-20th century, each teardrop-shaped, ht. 6 in., approx. 11.1 troy oz.